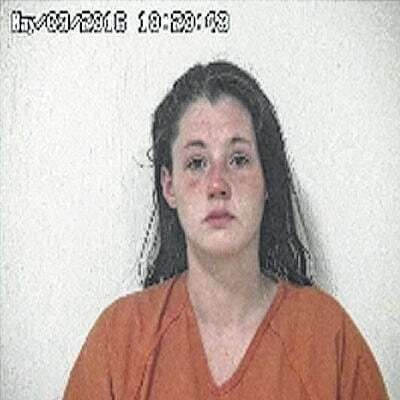 BUCYRUS — A Galion woman was sentenced to prison on Tuesday in Crawford County Common Pleas Court after admitting to violating the terms of her community control. Kara Ohler, 25, was sentenced to five years of community control in July when she pleaded guilty to two counts of drug trafficking, both fourth-degree felonies. She admitted to violating the terms of her probation by using cocaine, failing to report to her probation officer and associating with a convicted felon. Judge Sean Leuthold sentenced Ohler to 10 months in prison on each count which are to be served consecutively, for a total of 20 months in prison. Leuthold also handed down a prison sentence to a Bucyrus woman. Jacklyn Danielle Fisher, 36, was sentenced to one year in prison after she pleaded guilty to possession of drugs, a fifth-degree felony. Fisher may be eligible for in-patient drug addiction treatment at a later date. Fisher was with Logan Beeman, 24, Bucyrus, when he overdosed on heroin at a residence on Winchester Avenue in August. Beeman also pleaded guilty to one count of possession of drugs, a fifth-degree felony. Leuthold ordered a pre-sentence investigation to determine if Beeman should be given the sentence recommended by prosecutors of five years of community control and a fine of $1,250. Fisher must pay a fine of $1,250.